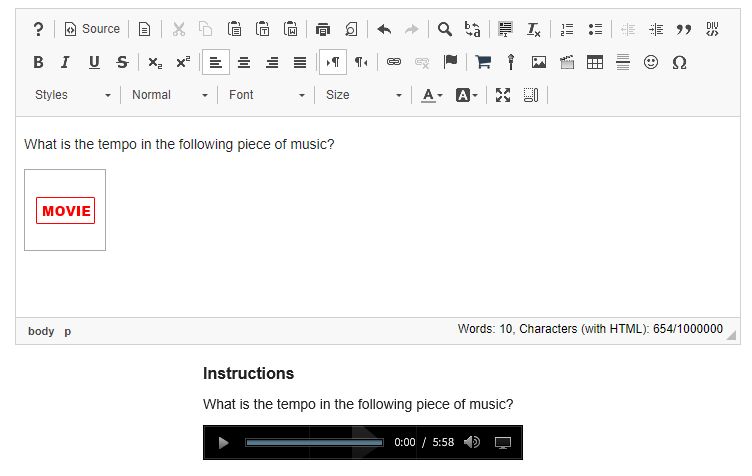 Sakai Community DocumentationSakai 19 User Guide (English) Rich Text EditorHow do I embed an mp3 audio in a text box? In the text box, position your cursor where you want to embed the mp3 audio file. 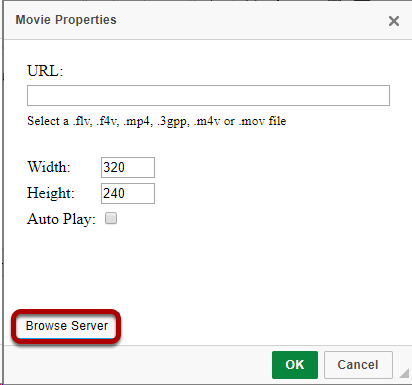 This displays the Movie Properties dialog box. 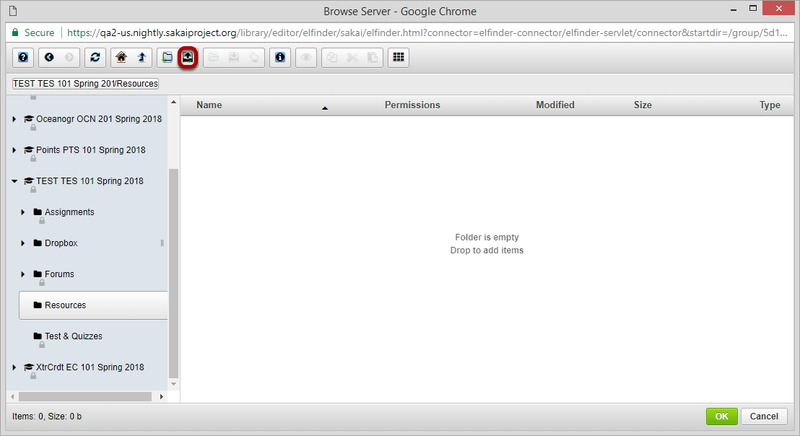 This displays the Entity Picker dialog box. 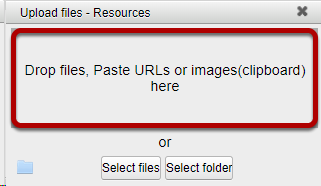 Click the Upload file icon. Zoom: Click the Upload file icon. 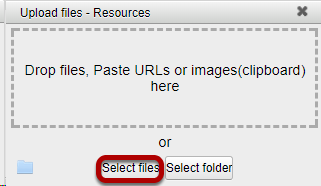 Drop files or paste URLs or clipboard images. Select the mp3 audio file you want to embed in the text box. Once you have located and selected the audio file, click Open to upload it. 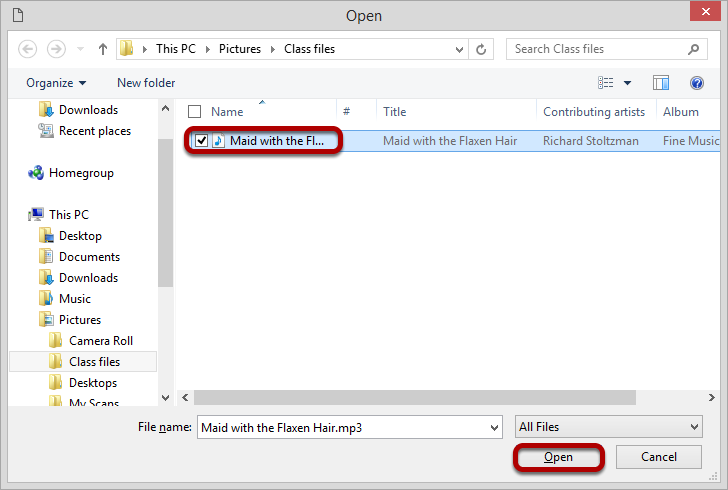 Once the file finishes uploading, it will show in the file directory listing and will be selected by default. Click OK to continue. 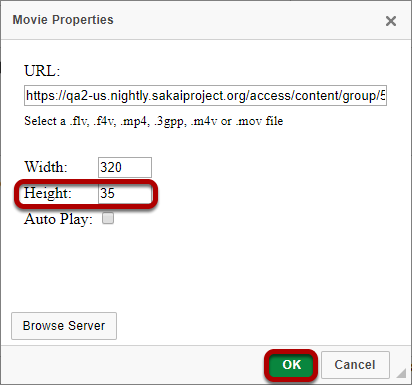 Set the Height to 35, and then click OK.
View the embedded audio file in the editor. The editing display will show a place-holder for the audio marked "Movie". 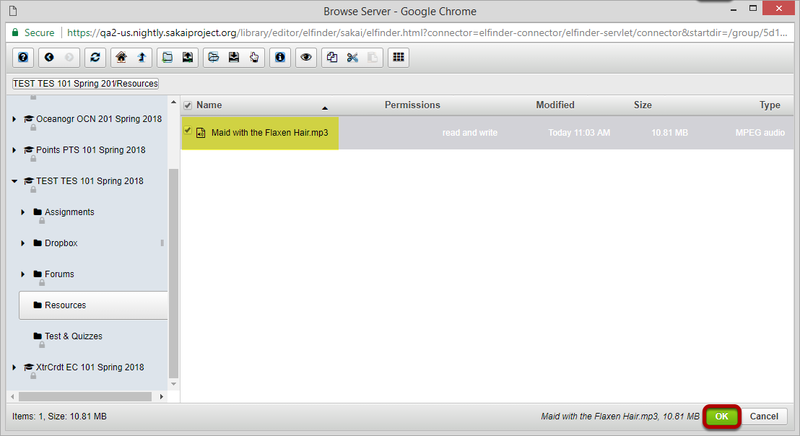 When the text box item is published the embedded audio player will be displayed. Prev: How do I embed an mp4 video in a text box? Next: How do I set my preference for the Rich-Text Editor mode?